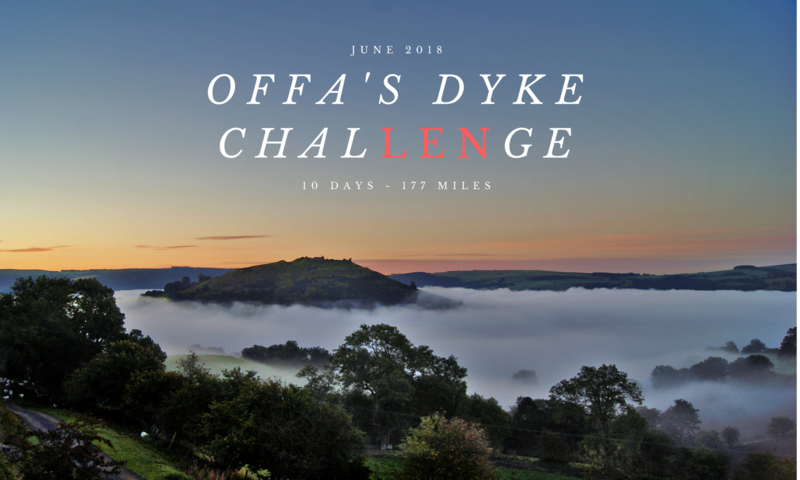 The walks on each day of Len’s challenge range in distance from about 13 to about 21 miles, so whichever day that you’ve chosen to do will require a level of individual responsibility and preparation. While we have organised a walk leader, ultimately it is your responsibility to make sure that you’re are prepared to undertake the challenge. We recommend that before the day, you take the time to research and familiarise yourself with the route. If you have a medical condition, have concerns as to the level of your fitness, or are unused to exercise, please consult your doctor before engaging in any Activity. Cardiff and Vale Health Charity and the Cardiff and Vale University Health Board shall not be liable or responsible for any claim, loss, damage, costs and expenses of any nature, including without limitation for any direct, indirect, incidental, special, punitive, or consequential damages. 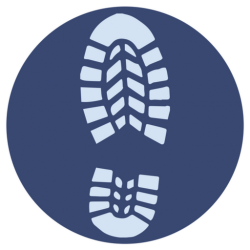 Make sure your footwear is comfortable and that it provides you with the right support and that it has been adequately broken in before the walk in order to prevent blisters. Good quality socks are essential in order to prevent blisters. Choose socks that will wick moisture away from your feet and prevent overheating, and those that are padded in the heel, ball and toes. A second spare pair could be a good idea should your first pair get wet. Make sure you prepare adequately for all weather conditions. As the walk is taking place during the summer, we recommend light, comfortable clothing that will wick away moisture. However, insulating layers could be needed if the weather changes and the temperature drops so it’s recommended that you take a fleece or other insulating layers. Do not attempt to walk in jeans as they can cause chaffing and will be cold and uncomfortable should it rain. On sunny days, a sunhat and/or neckerchief will protect your head and neck from sunburn and overheating. Sunglasses are also recommended. Despite the challenge taking place in summer, there is no guarantee that the weather will be good. It is essential that you pack a lightweight waterproof jacket and recommended that you pack waterproof trousers both of which should be made of breathable fabrics to help keep you dry and comfortable. A rucksack is an essential piece of equipment. When full, the rucksack should sit evenly and comfortably close to the wearer’s back, allowing an upright posture. Regularly-used items should be easily accessible when you pack your rucksack, while heavier items should be packed close to the back in the middle section of the bag. It is your responsibility to bring and carry all the food and drink that is required to sustain you throughout the day. While walking, eating and drinking little and often is the best way to stay hydrated and energised. What will the pace be? Our walk lead thinks the average pace will probably be around 3 miles an hour but there will be breaks which may affect this. Is the path well marked? According to Offaddyke.org: The path is well waymarked and signed, but you should not attempt to walk it without a good map and/or guide book. Depending on which day you walk, you may pass through towns and villages with public toilets. However, chances are that between them you’ll be walking for many miles without passing one so if nature calls, you’ll have to go in the great outdoors. “There is a right way to eliminate your wastes in a natural area without a toilet. Your solid waste products can contaminate groundwater, streams, and lakes and spread disease. Scoop the poop. Just as pet owners are required to do for their dogs, you should do the same for your waste. Bring along a sturdy ziplock bag and pack out your own waste. Nothing comes out of you that wasn’t in you, to begin with—you are in no danger from your own germs, but you can cause illness in others.